Woodstock, IL, April 5, 2016 – NewerTech www.newertech.com, a leading performance upgrades and accessories company for Macs, PCs, iPhones, iPads, and iPods since 1984, announced today the NewerTech Laptop Power Management System Calibration Video and Guide, now available online at: Video: https://vimeo.com/160771484 and Guide: http://www.newertech.com/batteries/power-calibration-guide/. NewerTech's new Power Management Calibration Guide and Video provides easy-to-follow, step-by-step instructions on how to calibrate the laptop’s battery as well as its entire power management system, enabling the battery to reach its longest possible lifespan and highest charging capacity for increased productivity and savings during daily use or after replacement. 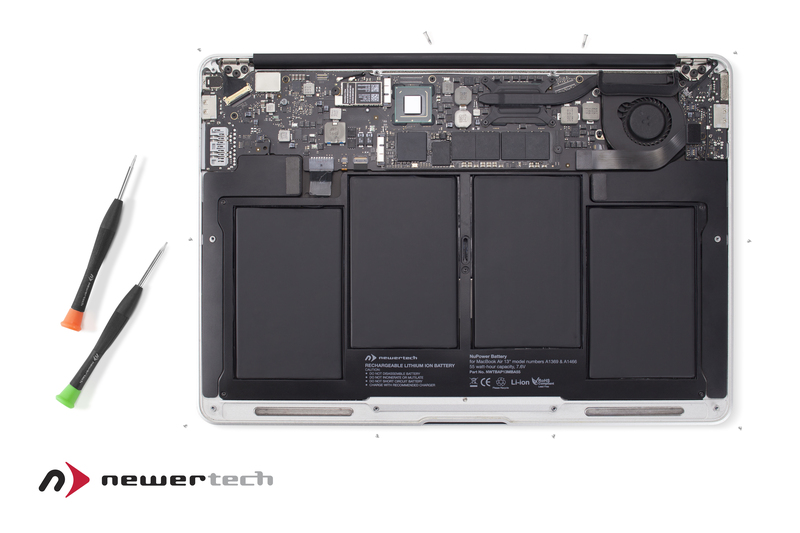 The helpful NewerTech step-by-step guide can be used with any Mac laptop to extend battery life, and is an essential step after any battery replacement. Mac laptop users will be able to get more done without being tethered to a wall outlet and their batteries will last longer before needing replacement. "We're excited to provide this helpful guide to the Mac community. Whether they use a NewerTech battery or a stock Apple battery, this Power Management System Calibration Guide enables Mac laptop users to extend their battery's useful life and charge capacity," said Larry O'Connor, President, NewerTech. NewerTech is one of the only companies (besides Apple) producing high-quality battery replacements and upgrades for Mac laptops. In addition, NewerTech is also one of the only manufacturers with in-stock Mac battery replacements that span the last 15 years, ranging from 2001’s Titanium PowerBook to 2014's MacBook Air models. Serving the Apple community with accessories, upgrades, and enhancements for Macs, iPhones, and iPads since 1984, NewerTech is well-known for their helpful free online videos and guides that teach Mac users how to fully use, upgrade, and extend the life of Apple products — making them more efficient and easier to use. The NewerTech Laptop Power Management System Calibration Video and Guide are available now at: Video: https://vimeo.com/160771484, Guide: http://www.newertech.com/batteries/power-calibration-guide/. For more information, see the website: www.newertech.com. NewerTech Inc. creates performance upgrades and accessories for Macintosh and PC computers, iPods, iPhones, and iPads, and is headquartered in Woodstock, Illinois. Dealer inquiries are welcome at +1-815-308-7001 or by e-mailing sales@newertech.com. For more information, see our website: www.newertech.com, or on Facebook: https://www.facebook.com/NewerTech and Twitter: @NewerTech.